Network Box USA is a cyber security services company offering enterprise class security solutions to small and medium sized businesses. 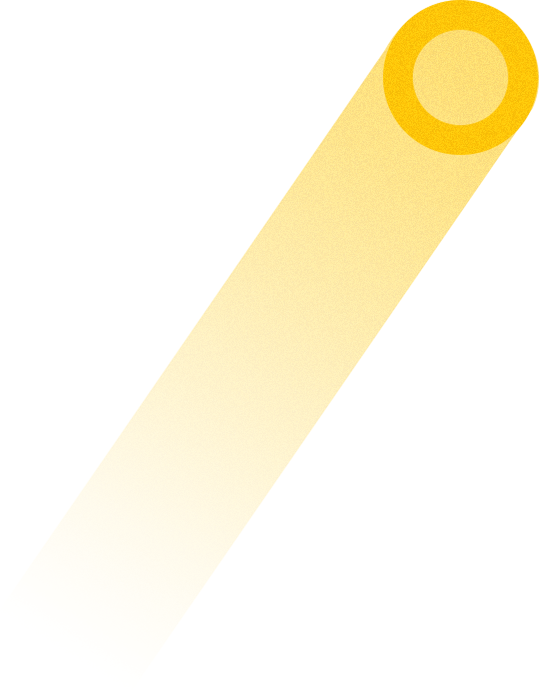 Network Box provides world class managed security services including monitoring, threat analysis, bandwidth management, licence management, change control, and load balancing. 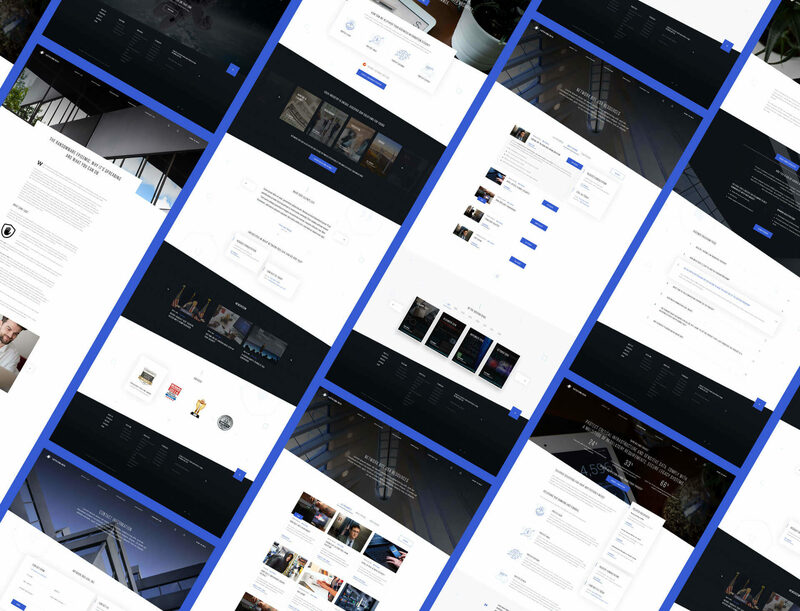 As the managed security vertical has transitioned from hardware to software and services, Network Box needed a partner to redesign their website to present a new face to the world. Big Drop was excited to be a part of the project. Network Box’s main challenge was to redesign their website to reflect a new business priority. 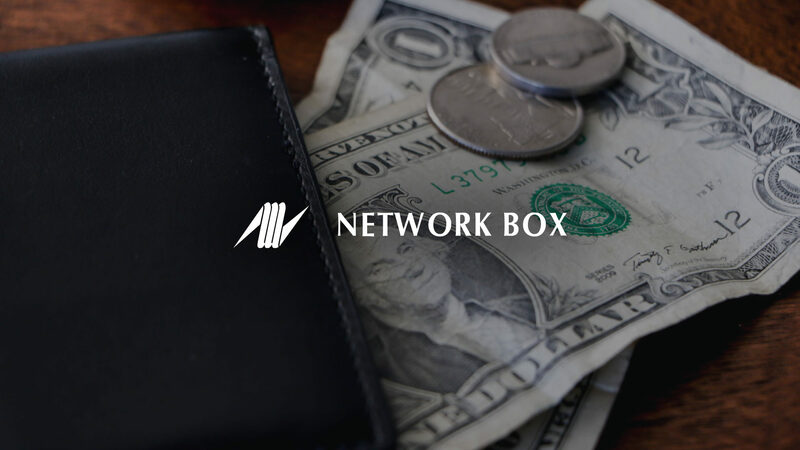 As the vertical they occupied became less and less hardware-focused and more and more reliant on computing power and cybersecurity, Network Box wanted a new website to reflect their movement from a product-based to a service-based business. This project consisted of a website refresh with a focus on branding and personality. Big Drop used an agile approach to align our web engagement with Network Box’s larger initiatives. Our UX team laid out the information architecture for the new site with a more intuitive sitemap. 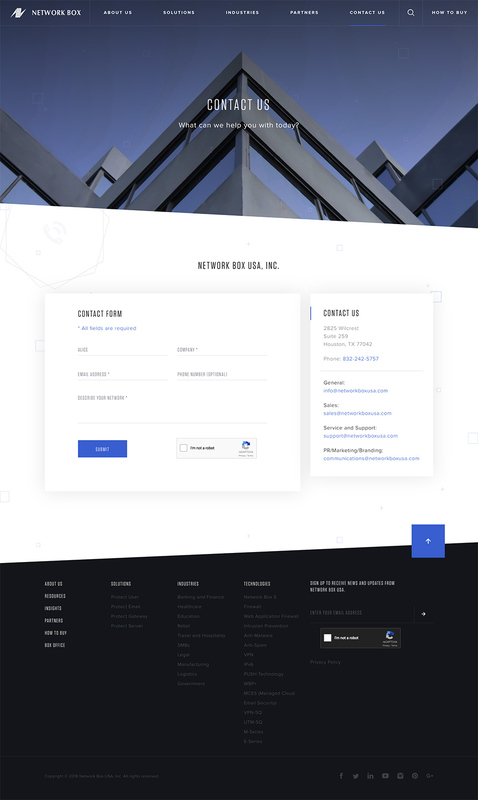 We created detailed wireframes for each template specifically designed to inform potential customers about the benefits of Network Box and get them to convert. Wireframes were specifically designed to emphasize and highlight NWB’s recently revamped brand messaging and service focus. Our design team evaluated Network Box’s existing brand guidelines and provided updated fonts and an augmented color palette for web use. Our graphic design team created a custom icon set for the website. Network Box used these for external marketing materials as well. Since unveiling their new website, Network Box has seen a significant uptick in search volume and conversions and recently received one of their largest requests for a quote (over 120 solutions requested).